Months have passed since the sexually abused charred body of Angela Hayes was discovered by the small town authorities in the mountainous tranquillity of Ebbing, Missouri. 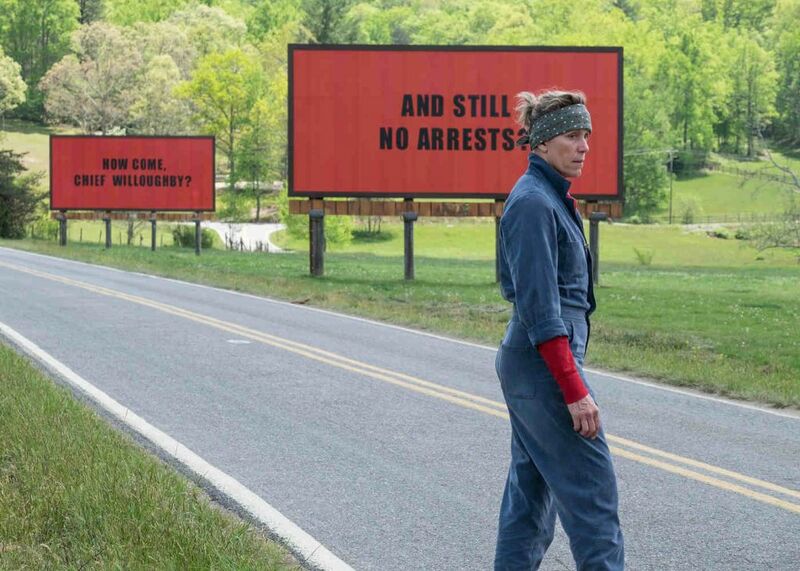 The community appears to have moved on, but without any sign of a culprit being brought to justice, the unique firebrand of Mildred Hayes (Frances McDormand) decides to kick the hornet’s nest by erecting three inflammatory billboards along a road that’s barely used. It has the required effect; bringing news crews to town, turning sympathisers into aggressors, and shedding light on the practices of Sheriff Bill Willoughby (Woody Harrelson) and his department, something that particularly irks Officer Jason Dixon (Sam Rockwell), an incompetent cop with a penchant for booze and a racially motivated arrest. Three Billboards is exactly the blend of dark comedy and heartfelt drama that you’d expect from Martin McDonagh, the Academy Award winning writer/director of In Bruges. There are scenes in this where you’ll laugh more than any straight up comedy from the last decade, and remember it’s a film about the murder of a teenage girl. That’s the perfect balance the film manages to strike between laughs and pathos. So alongside some broader strokes of inflammatory language (McDormand taking down the hypocrisy of a priest is a delight), or redneck putdowns, we get a subtle introduction as to what Mildred is really like, when she gently turns over a beetle struggling on its back during the opening scenes. The fact that these tonal differences don’t capsize the film is its real triumph. Well, that and the outstanding cast. 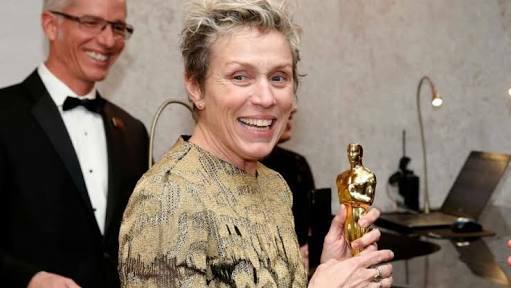 McDormand will get the awards show reel moments, and deservedly so. Her acerbic wit often tiptoes across the line, a playful cruelty that hides her true feelings, but when the mask slips, such as a scene in which she talks to a deer, she’ll have bottom lips trembling. Woody Harrelson, slowly becoming a tremendous character actor, adds layers to a role which takes you by surprise in how it’s not at all what you expected it to be. Peter Dinklage gets minimal screen time, but maximum impact, in a role which feels the most human amongst a roll-call of somewhat deplorable shits. Clarke Peters (The Wire), Caleb Landry Jones (Get Out), Lucas Hedges (Manchester by the Sea), John Hawkes (Winter’s Bone), and a scene stealing Samara Weaving, the list goes on and on, and they’re all great. Three Billboards belongs to Sam Rockwell though. His bumbling sheriff’s assistant elicits hatred, sympathy, and laughs in equal measure, and much like the rest of the movie, you don’t really know where McDonagh is taking us with him. Admittedly it might ask a little too much with the evolution of his arc, but Rockwell continues to be the most unheralded actor out there, making Dixon a conflicted beast, eager to please his role models, but also adhere to the marginalised views of his mother and his own alcohol fuelled instincts. 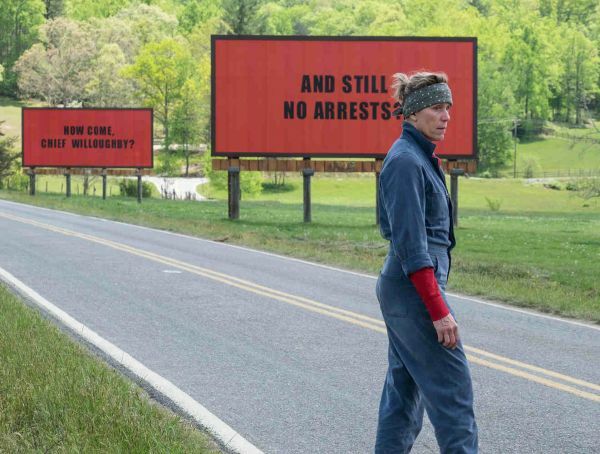 Some might grumble about the overall ambiguity of a film sold as a murder mystery, but that only helps to frame Three Billboards as a perfect capsule of life. Not everything can be tied off in a pretty bow, and not very much about the dirt-under-the-nails world of Ebbing, Missouri would want to be. Another dark delight from Martin McDonagh, with a force of nature performance from McDormand, but it should be Sam Rockwell’s name up on the billboard come awards season.